To the RSA yesterday, in John Adam Street, London, WC2N 6EZ. Between meetings in London we managed to fit in a visit to the lecture by Professor Kenneth Rogoff, deliberating about the existence of cash, illustrated by examples from his new book – The Curse of Cash. Despite misconceptions in the popular press, Professor Rogoff, he is the Thomas D. Cabot Professor of Public Policy and Professor of Economics at Harvard University, argues for the deletion of high value notes from a national currency, not, as is often quoted, the dramatic end of cash all together. Drawing on his international experiences, Rogoff served as an economist at the International Monetary Fund (IMF) and on the Board of Governors of the Federal Reserve System, he argued for the removal of high value notes from circulation as a methodology to reduce criminality and tax evasion. Rogoff recognised, in passing, the recent currency changes in India, remarking that his advice to Prime Minister Modi would have been to move at a much slower pace, although India’s fiscal motives are not totally clear at present. Cessation of high value notes is now, he argued, a recognisably legitimate lever in the economic tool box, although ideally pursued over a period of perhaps two years, with currency withdrawn in batches of maximum value over that time. Using the U.S. as an example, evidence was offered regarding the size of bank note holdings in a population – nearly always much, much higher than any official Treasury forecast, he argued. In theory, in the U.S., every person should be holding about $4,200 dollars in $100 bills for example. However, we were told, current research indicated that only 5% of U.S. citizens ever saw bills of this denomination, and only once a year at that. A simple show of hands in The Great Room at John Adam Street, saw only four members of the audience having used a £50 note in the last month. This exposition led on to an assessment of the underground economy in Europe. Undeclared transactions making up 16% of the German economy annually, with up to 25% in Italy and Greece. In the U.S., we were informed, this currently runs at about 8%. But in all cases these hidden economic transactions represent vast sums in the tax ‘neutral’ take of businesses, whatever their ethical make-up. Rogoff referenced the U.S. economist, Neil Wallace, whom he argued failed to see the rise of electronic currency during his seminal economic work in the 1970’s. Now, Rogoff argued, there has been a step change, in young people particularly, for whom electronic banking and cash movements may have become the norm. This could have resonating consequences for world economies. Governments make large cash transfers and could, he argued use free, subsidised debit cards for members of society and deliver benefits, refunds and payments to individuals without the repetitious ‘cost of cash’. In his lecture Professor Rogoff appeared to be a strong proponent of the use of negative interest rates, to stimulate cash investment in business infrastructure, citing Sweden as an example where this policy had energised the real economy. In rounding off his talk Professor Rogoff, cited the work of U.S. economist Robert Eisner, arguing that Central Banks could also have a role to play in the ‘new attitude’ to cash. The use of technical devices, such as deploying currency held in banking systems using a distinct and different exchange rate. This was a quietly and elegantly delivered short lecture, drawn from a very telling book, The Curse of Cash, which provoked and underscored an interesting number of new ways of thinking about cash, banking and the cultural and fiscal exchanges between us all. The final exortation, light heartedly, was for us to remember that the Rogoff thesis is not about the abandonment of cash, rather its perpetuation in ‘smaller ‘ form. The Ferengi, we were told, had after all never lost their interest, as free traders of integalactic renown, in gold-pressed Latinum. You can hire the resources and spaces of 8, John Adam Street for both corporate and social events. A stunning venue in the heart of London, just off The Strand. This new research report from the New Economics Foundation (NEF) is a refreshing look at our coastal communities and their economies. It provides proposals for action, which are leavened through a recognition of history and localised specialist skills. The analysis is elevated beyond the ordinary ‘top down research’ by emphasising the need for socio-political and economic frameworks in coastal communities which re-connect people with nature and the coastal landscape – a series of contours that are geographical, industrial and philosophical. The report takes us out of the ivory tower and into the sand dunes. The essence of the New Blue Deal is to build on existing initiatives and create a mixed framework of five changes and economic thematic deliveries, which are sustainable, inviting and inclusive to the communities of focus. GVA (Gross Value Added) and a 24% increase in employment, the equivalent of 4,922 new jobs’. The report looks at a variety of UK locations, with fishing being a key focus of course. However, other work is highlighted. Engagement and partnerships that work across responsible tourism, leisure and recreation. From Anglesey Adventures, a business working in the outdoor leisure arena, to The Venus Company, working in its chain of cafes to ‘…balance customer needs with environmental and social considerations’. We particularly liked the feature on Learn to Sea, a ‘sea school’ project in South Devon. Using the coastal spaces as an educational resource which informs children and young people, but which also carries forward the ideas of sustainability, economic durability and environmental awareness into the next generation. Here at conversationsEAST we are incredibly fond of the Suffolk coastline, for example. But we look at areas around communities like Great Yarmouth or Lowestoft, with their long tradition of fishing and livelihoods from the sea. Whilst we recognise that ‘Big Oil’ does provide jobs and technical advancement for some sectors of the community, without doubt, creating a recognisable influx of highly specialised employees from external sources. Whilst this fosters economic activity which is vital, it does not reposition those communities to explore, create and sustain their history with their coastline and enable them to encourage the growth of entry level and intermediate skilled work. The New Blue Deal does. You do not need to spend long with the NEF document to see, in your mind, how your favourite stretch of coast can become a thriving community – a nexus of education, social and community enterprise, ocean facing and non-exploitative at every level. The city. The future. The optimism. Leaving the opera in the year 2000! A wonderful vision of city and cultural life, imagined in 1882. Even in the 21st century it is hard to contemplate leaving a cultural event in a city, stepping into your floating air carriage and drifting off home in ease and solitude. Royal Opera House, a trip on the Northern Line to return to the solace of High Barnet bears no comparison. We have not given up on the city yet, though. Bob and Tamar Manoukian Production Workshop, where ROH productions are built and delivered to cities. The conversation also ranged across the occasion of the region’s forthcoming conference at the University of East Anglia. The programme for which includes Norwich Fellows session on Empowering Invisible Norwich and another on What is a Learning City? So although we will not arrive by hover car, the idea of the city will continue to echo. Hall goes on to develop his argument about societal change and stresses the enormous impact of technology on urban dwellers across the globe. This is true, but the forecasts of the end of the city have proved somewhat premature. In fact, the building, or extending of cities, continues to be a hot political issue. For the forthcoming report by Sir Michael Lyons there is an indication that he will recommend that cities should be allowed to expand at their edges, a return to the New Town concept perhaps. With councils free to borrow and invest in house building and bringing reform of land release for house building to the table. This latter point outlines how strong the the High Victorian concept of urban spread as an entirely bad thing remains. Surely the point is what sort of urban extension or city growth you achieve. We must not build urban ‘rookeries‘, or blanket ‘Bedford Brick‘ box extensions across acres of green fields either, we would argue. Land release for social housing or city corporation development will be a thorny issue for private landowners, what ever the political persuasion of the originating idea, we suspect. You can see this debate outlined in more detail in a recent article from Patrick Wintour in The Guardian here. Using existing infrastructure in conurbations for innovative purposes is immensely appealing. Using it to farm, to develop new urban and social businesses based on food, new flowers and green space cultivation is a great way to deliver new skills, better diets and employment into communities, we would argue at conversationsEAST. “As part of the City Science Initiative at the MIT Media Lab, we explore the technological, environmental, social and economic design of scalable systems capable of producing affordable and high quality food in the heart of our future cities”. If you have an interest in this green aspect of the debate an on-line visit to MIT is worth it. The MITCityFARM team are working in three key areas. developing global open access course-ware, to make knowledge about agriculture available to all. Consequently, the five prize shortlist contenders have been asked to submit designs for a new Garden City. You can see the individual practices in competition here. In conclusion, maybe the time is now right. We have innovative thinking on edge development, an energised architectural sector with modern materials and community sensibility, coinciding with increased interest in city farms and Garden Cities from the civitas. Who cannot have an optimistic view of our cities? 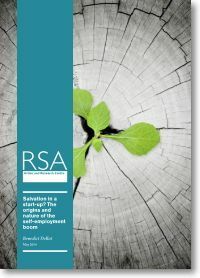 The RSA Action and Research Centre have just published Salvation in a start-up? The origins and nature of the self-employment boom (Benedict Dellot, May 2014). examines what types of micro-businesses are becoming more commonplace? What has caused the large increase in recent years? And what effect are they having on the economy and wider society? The report argues that the current economic landscape contains six tribes of self employment. The Visionaries, the Classicals, the Independents, the Locals, the Survivors and the Dabblers. We at conversationsEAST would have liked to see a seventh category, or is it an overlay to do with motive for the existing players? That of the ‘socially motivated’ self employed. Whether a visionary at the top of the list or a part-time, older dabbler at the bottom, all may have begun their entrepreneurial journey with a passion to undertake an ethical, socially focused business or activity. The largest of the cohort surveyed were the Survivors. Earning less, and more likely to be younger. Whilst the argument for overwhelming market competition that forces this group to struggle to survive may be a good one, if viewed through a more ethical, social business lens, the lack of focus on personal income but rather on softer, less tangible social outcomes for an entrepreneur like this would also affect the findings too. Another interesting focus in the report is the Happiness Paradox. The traditional view of self employment, it can be argued, is of an isolated, stressed individual who struggles to make ends meet. This rather cliched description is belied by other findings that suggest those who seek self employment are ‘…more content at work and happier in their lives’. 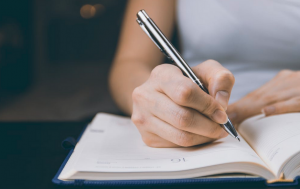 Stress there is, without doubt, but the RSA report highlights other academic research that sees the development of self employed enterprise as ‘…long periods of relative stability punctuated by critical episodes of transition and change’. The gains for the individual in life outcome are only punctuated by pains periodically. The management of change, or how to pivot the enterprise, is a key skill for the entrepreneurial micro-business, social or otherwise. Do these finding matter? Yes they do. The RSA research findings offer a subtle and detailed analysis of self employment, its conditioning, content and motive. It disposes of the traditionally held viewpoint that older people, who are pushed or pulled into self employment, represent the core. When in fact, by age, motive and shades of effectiveness the position is more complex. Does this affect our region? Yes it does. This focus on self employment, who by and how it is operated should condition the thinking of Fellows who are looking at projects involving education, social entrepreneurship, skills and sectoral growth in any field. Self employment is a conditional state. Entrepreneurship is about opportunity recognition and the philosophy of risk. The two are connected. The ‘social business’, delivered by one or a group of entrepreneurs, wholly focused on social outcome is, we would argue at conversationsEAST, a sound model for sustainability of a project. What a great solution to economic change and development in communities – social entrepreneurs delivering innovative ethical business models over time. Arguably, if the new report Salvation in a Start-up has rewritten the self employment landscape, combining it with social enterprise can re-write a community landscape? What do you think? Economic growth, the full story? In this RSA Short for April 2014, Growth is Not Enough, Oxford economist Kate Raworth looks at the constantly heard economic mantra of growth. Is it all that needs to be in the economic outcome basket of results, despite the repetitious demands of politicians? TED Talk by Harish Manwani, Chief Operating Officer of Unilever, where he stresses that brands, corporate business endeavour, can be a force for social change in communities. His take on growth was to stir in responsibiity to the fiscal admixture. The Raworth argument pivots on the notion that un-mediated economic growth leads to deprivation, degradation and inequality. Richard Wilkinson, one of the co-authors of The Spirit Level, gave a stirring TED Talk on inequality a couple of years ago. He effects to compare and contrast the data on major economies of the world and how inequality in societies affects the lives of millions. How Economic Inequality Harms Societies – well worth a look.